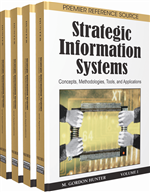 Among all quality strategies, the quality information system (QIS) is the one which finds comparatively little recognition among the quality engineering professionals. The situation is different in the general management arena where management professionals are striving to attain core competence of organizations through the implementation of management information systems (MIS). On realizing this trend and anticipating tremendous benefits, a research project has been started with the objective of developing a QIS compatible to ISO 9001:2000. In this paper, the quality management information system (QMIS) that has been designed by referring to Clause 4 of ISO 9001:2000 has been reported. After designing this QMIS, its development in real-time environment was examined by conducting a study at an ISO 9001:2000 certified high technology-oriented company. Also, a validation study was conducted by gathering the opinions and assessment of the managing partner of the company on QMIS. These studies revealed the feasibility and possibility of implementing QMIS in ISO 9001:2000 certified companies. The details of this work are presented in this paper.